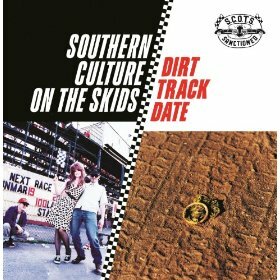 After three independent releases, Southern Culture on the Skids signed with a major label and released Dirt Track Date, which was a default-greatest hits of sorts, as about half its songs were seeing re-release, this time to a wider audience. “Soul City” pretty much typifies the band’s early sound with its rousing soul-and-rockabilly hybrid and smartly dumbed-down lyrical viewpoint. It’s the sound of a tight musical unit defining its sound and finding its niche. Some stellar percussion touches (some provided by a guitar) add a lot to this track.